After last year’s exceptional High Evolutionary, Dead Sea Apes placed themselves right at the top of the psych food chain with an album which reached right into the darker recesses of the mind and delivered an angst fueled, psychotic krautrock trip into the dark side. It was the culmination of a career trajectory which has seen them slowly build a body of work which, whilst getting increasingly darker, cemented the band as one of the most exciting prospects these fair isles had to give. Where to go from there though, as High Evolutionary seemed to reach some sort of apex in majestic dark instrumental music? Well, for new album Spectral Domain, Dead Sea Apes have embraced a much lighter aesthetic and delivered an album which seeks to explore more far out avenues of space rather than the metronomic goodness of the typical krautrock song. The big turning point is the embracing of dub which, although subtle to start off with, builds to a thrilling climax as each piece on this album unravels in its glory. It’s a measured approach too and you may recognize many aspects of High Evolutionary in opener ‘Universal Interrogator’ which thrives on a chiming guitar interplay which helps to build up into the usual crescendo. Pretty much a song of trade by now for Dead Sea Apes, it serves as a linking path between the previous album and this. It’s on ‘True Believers’ that you start to hear the newer sounds coming through. Building from a quiet bass filled beginning, it’s momentous march is almost subtle in the way it suddenly envelops you as the guitars come seeping in. Rather than fill the track with music it’s the gaps that take precedence though and a much spacier feel is born. Haunting and evocative, it channels a sort of underground sub-conspiracy feeling giving it a paranoiac edge. In fact, as far as we can ascertain on an album of instrumental music, conspiracy theories may well be the guiding theme to many of these tracks. ‘The Unclosing Eye’ may pass you by on first listen but once it sinks in it’s intriguing drum play starts to show through the deep dub filled bass that starts to arise. Almost tribal in a way, it sounds like a disturbing mesh of Gnod and Goat but slipped into a mogadon haze. As a centrepiece to the album it reaches a level of darkness not quite achieved on High Evolutionary yet still sounds lighter and breezier. ‘Brought To Life’ carries on in this direction at first but as it’s name suggests this is the lift out of the spacier expanses into something much more solid. That solidness may not be something you may grasp as tangible though and as the extraordinary ‘Sixth Side Of The Pentagon’ opens up on a higher dub plane, the very essence of marijuana fuelled conspiracy is thrust right back at you in a heady haze of stunning musicianship. 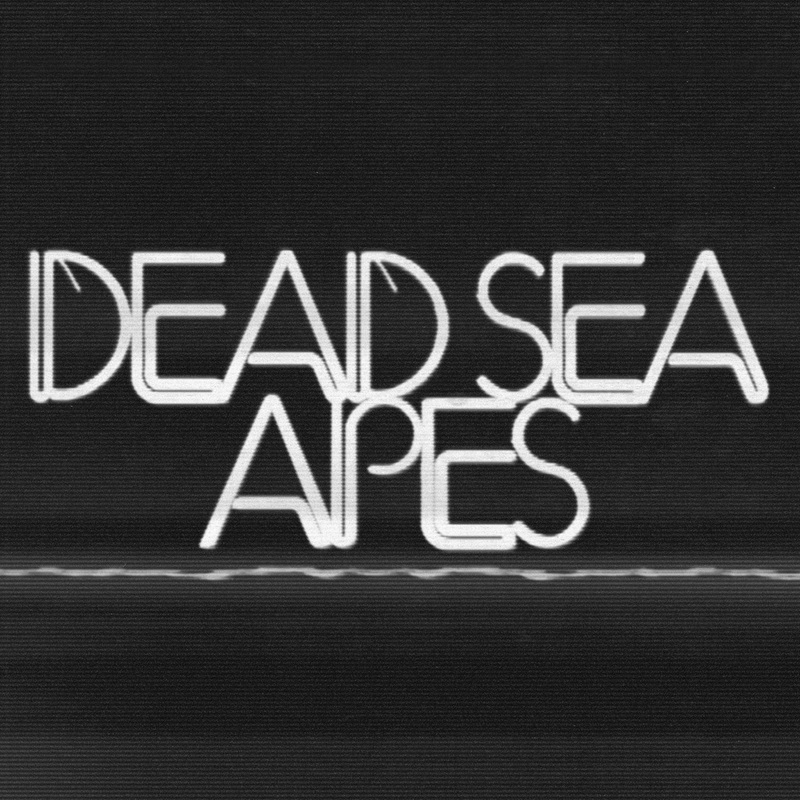 Unlike anything the band have attempted before, it presents a side of Dead Sea Apes which allows them to expand down multiple routes in the future. Guided by the throbbing bass, they use space and expanse in their sound to create an almost slight yet heady piece of music which revels in it’s complete embrace of all things dub. Whilst it’s not as immediate as some of their previous work and at times can feel a little slight, Spectral Domain is a heavy piece of work which uses lightness to great effect. The introduction of a dub element has really opened up their sound and this album should be seen as one of the high points in an already impeccable run of albums. It works on a much more satisfying level to as there seems to be a clear definition as to what they were aiming for and by neglecting some of the more run of the mill krautrock elements, they have created a piece of work which defies description in parts. Once again a resolute success for this most special of British bands.